Beginning in 1988 with a display that occupied a single table, Library of Social Science Book Exhibits has grown into the premiere company bringing publications to their target market at significant, cutting-edge conferences. More than 200 publishers rely on the Library of Social Science for promoting their books and journals at carefully selected conferences. Please click here for information on some of the publishers who exhibit with us on a regular basis. We have perfected a unique paradigm for creating, organizing, and managing book exhibits at scholarly and professional conferences, based on the insight that it is possible to broaden the market for books and journals through comprehensive displays of outstanding titles focused on a conference theme. 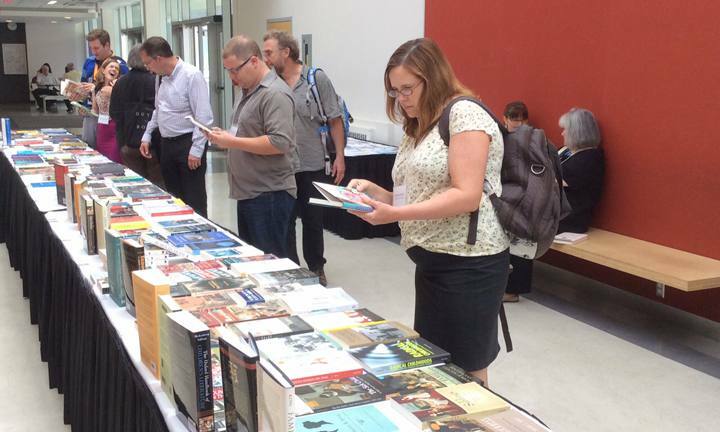 We select conferences that attract influential audiences and feature high-profile speakers—attended by large numbers of teaching professionals seeking books to assign for classes and to use in their own research. Many of our clients now exhibit with Library of Social Science through our Annual Subscription Plan—that allows publishers to exhibit at each and every one of our meetings at a single, reasonable fee. For details, call Orion Anderson at 718-393-1104, or send an email. One way Library of Social Science works with a selected number of publishers is to promote and sell your books through our Newsletter. Our announcements reach 49,657 distinguished scholars and professionals—active book-buyers. To see a recent Library of Social Science publisher book promotion, click here. For information on how we can promote your press’s titles through our Newsletter, please email Richard Koenigsberg. Library of Social Science brings to bear a level of expertise and professionalism previously unheard of, creating exhibits of unsurpassed quality. We manage the entire book exhibit from beginning to end, maintaining consistency and control. Our book exhibits are located at the heart of the action—making certain your books garner maximum attention—and often become a gathering place for attendees. Our exhibits become a central component of the meeting—and a gathering place for attendees. To view additional pictures of our book exhibits, visit our photo gallery. With 10 to 25 tables of books (each title displayed face-out), Library of Social Science exhibits are a sight to behold. Conference attendees are not only impressed, but often stunned by the quality of the displays. 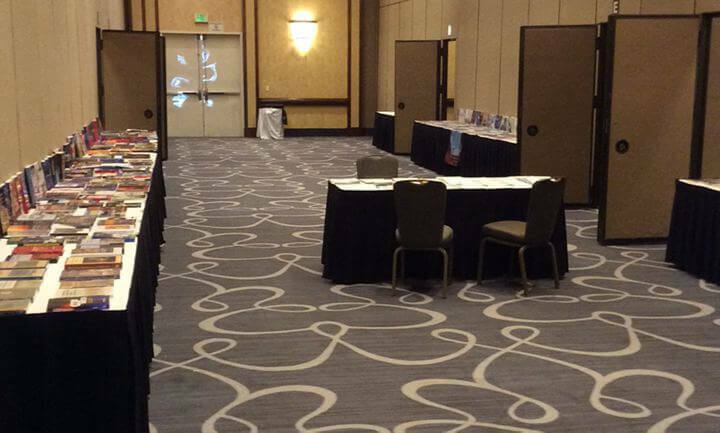 Our exhibits showcase the publications of conference speakers (whose presence at the meeting is the best advertising for their books), and highlight individual publishers, who may be provided with an entire table for their books and promotional literature.